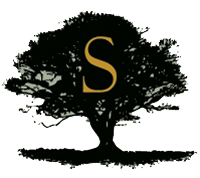 Snyder Sutton Real Estate Specializes in Residential Real Estate, Homes, Condos and Land. Property Listings and Homes for Sale Located in the Topanga, Malibu, Calabasas and Woodland Hills Area. Snyder Sutton Real Estate is located at the north end of Topanga Canyon, right next door to the popular restaurant, Topanga Table. Topanga is nestled in the heart of the Santa Monica Mountains above the glittering Pacific Ocean. It is only twenty minutes from Los Angeles but its small town atmosphere, friendly people and picturesque stores makes it feel like a million miles away from the major city just down the hill. For those that work in the town or are lucky enough to work from home, Topanga is a haven from the hustle and bustle of modern life. Whether hiking in the pristine Topanga State Park, horse riding the mountains and canyon trails or enjoying shopping, lunch or a coffee in the eclectic Pine Tree Circle, Topanga offers peace, fresh air and a slower pace.